Great benefits of shower, do you know? 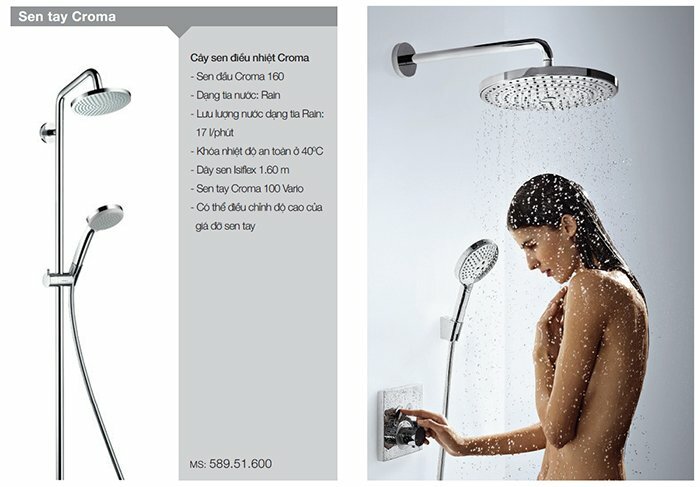 In addition, it will be perfect if you are using Croma Hangrohe shower fittings from Häfele. Why? Because you’ve got yourself a great body care “specialist” – with fine design and varied spray settings, smooth as the dance of rain, combine with safety lock at 40°C and other remarkable features. Especially in September and October, Häfele gives delightful offers for you when buying sanitary fittings with super favourable prices, discount up to 40-50%. See more promotions here or contact hotline 1800 1797 for more information.